Arkansas Great Dane Rescue View other Great Danes for adoption. KANE What a handsome boy! This is Kane, a beautifully marked Great Dane and Pit mix who is still a puppy, born in December, 2016. He is snow white with a brindle patch over one eye! 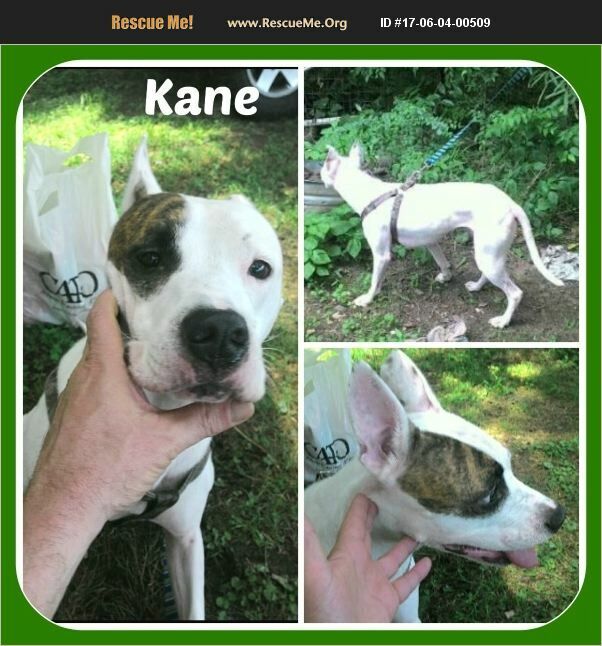 Sadly, Kane was abandoned by his owner - he was found tied in someone's yard with a sign on him that said 'My name is Kane.' Very sad for such a sweet puppy boy. Fortunately, the finders are kind people who are seeking to help Kane his forever home and family. Kane is young, healthy and so beautiful! Please help this sweet puppy boy to have a story that ends with 'he lived happily ever after' with a loving forever family that will always treasure him.